Update 1-27-13 End of the road. I knew this would probably happen eventually, and today appears to be the day. My vinyl cutter has been struggling lately, and I think I finally need to throw in the towel. The last few sets have been very troublesome to complete, so there will be no further orders. I do have a number of set #5 that are already cut,... I will go through those and sell those through another post, but when they are gone, that's it. I would like to thank everyone for the support through the years. You guys have been great. I wish I could keep going, but the equipment just can't keep up anymore. I'll gladly post up the vector files if someone else has access to a cutter. Update 3-22-12: Yes, I'm still going here, but I need to make a few changes. Set #5 will remain unchanged, and the price will stay at $12 for a set. Custom orders are where things are going to change. As of April 1st, I'm going to take a break from doing any custom orders. Unfortunately, they have been just eating up way too much time. If you REALLY need a custom order, I'll still make custom sets, but I want to be clear upfront that it may take a while. Feel free to send me messages, reminders,... anything. to keep yourself bumped to the top. (It's ok,I don't mind... If I'm not responding it's because I'm overwhelmed at the moment, and when that happens I tend to grab the most recent ones first when I do get a chance.) Custom orders have a minimum price now of $15 to reflect the extra time required. I will make exceptions for very simple sets, like multiple p1-p4 icons. Finally, If anyone has another source for this type of thing, please feel free to post it in this thread. Since I'm not keeping up properly, I'd like to know if there is another way for you guys to get these. The new set is here! Sorry it has taken so long, and I hope you guys enjoy the new options. The new main set is now set #5. The older sets are going to be retired since they have been integrated into the new set, or can be done with a custom order. Set #5 will be priced at $12. Two sets will sell for $20. If set #5 doesn't have what you need, take a look at the "price" image, and you will see a menu that you can choose parts from. The number is a dollar amount, and the letter identifies each group. The only thing I ask is that custom orders meet a minimum of $15. That simply helps cover costs and time to make these. See the pics to see the sets. These are done in white, but other colors are available on request. See the color sample image to see what I have available. Other colors are possible, but will cost more since I will need to purchase them. Keep in mind these color chips are approximate colors only, since they will vary from screen to screen. The fluorescent colors in particular are very different from the samples, since monitors cannot display those colors. I can also do custom work either based on vector art or type, or completely custom artwork. PM me for details and a quote. I'm also willing to trade if you've got something that interests me. Please send me a PM to place an order,... Paypal is preferred, but I can work something else out if needed. I try to follow up with everyone within 24 hours, so if you do not get a response please resend. A few things will GREATLY help me out. 1. Please put your user name or something unique in the subject along with vinyl. When I have about 50 emails all with the subject "RE: vinyl" it is very difficult to follow. 2. Don't assume I know anything about previous emails, so please quote previous messages as much as possible. That way I don't have to go back and forth finding the old message to figure things out. 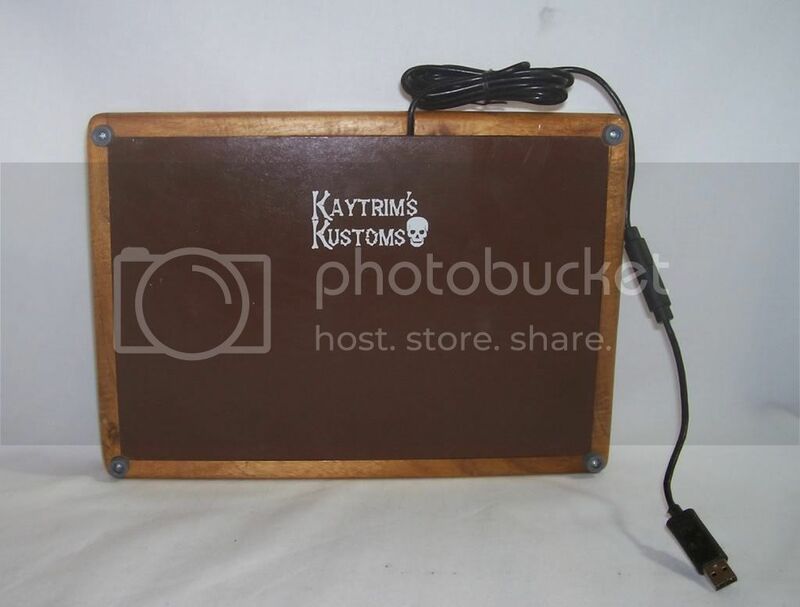 Re: FS: Vinyl decal sheets for button labels and other custom vinyl stickers. Here is a quick tutorial on how you can apply the joystick decals without removing the joystick, and also ensure that everything is lined up properly. 2. cut the decal into 2 parts (without cutting through any of the vinyl) Cut out the center circle and discard. 3. now align the 2 parts together. When things are straight, place a piece of tape to lock down the position. 4. now the tape can be used as a hinge,... you can lift the decal, remove the backing, and allow the decal to rest into the final position. 6. finally, remove the transfer tape and tape hinges,... done! Neon green is more the Galaxia green and not so much the Happs green correct? The neon green is really bright and probably not what you are looking for. It is very bright green. I do have a few colors that I did not list, since I only have very small pieces of them. I wil go through them tonight to see if there is a green that might work for you. EDIT: I have 2 additional colors of green. I only have enough of each to do one set, so I did not list them in my available colors. One is a basic medium green, and the other is a dark green. I don't know what color green the Happs buttons are, but one of these should provide a closer match. FYI. Received mine today and they look great. Highly recommended. Haven't put them on the cabinet yet (waiting on some controls to come in) but soon. Hopefully everyone else should get their orders soon. Everything that has been ordered has been sent out now. Thanks for the business, and if you like them please let others know. I will also do custom work to your own specifications, so if anyone is interested they can send me a PM for a price quote. Received mine this week also. They look great. I got mine about 2 weeks ago. Put them on in about 5 mins and they look fantastic. I need to take some pictures and post them but I've been lazy. Thanks for the comments... I'm glad everyone seems to be happy with their decals. I'm looking into expanding into a few more sets depending on interest. 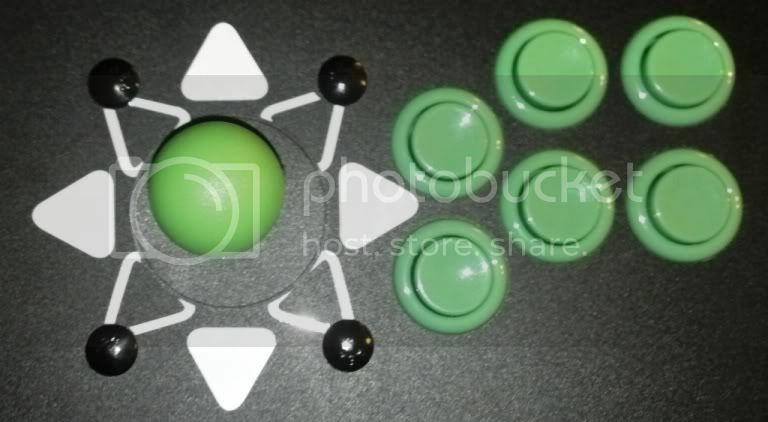 First up will be Joystick arrows 4/8 way and some button rings. These will be donut shaped vinyl that will go over the button holes and leave a nice outline around the outside of your buttons. When you say the joystick 4-way/8-way arrows, are you referring to the arrows themselves or the "instructions" for the joysticks that you can switch from 8-way to 4-way by pulling & twisting? You can view a bigger picture going off my page in the sig. I think #12 would be the closest choice based on the picture. #15 is quite a bit more red. All current orders should be finished up tonight and sent out tomorrow morning. I got behind a bit yesterday and didn't get a chance to cut. Here are some different arrow styles. I will make up a few more over the weekend, and custom requests are always welcome. These are approximately 4 inches, but since every order is custom they can be sized to fit your CP. Just sent you a PM, hope you can do it. Here are 2 .pdf files showing some arrow designs. If you print these, they will print to actual size so you can check that things fit. I can cut them smaller or larger if you need, so this is only a starting point. Love these arrows... might have to rethink about putting them on my CP. Just posting here to say I will be away from emails all this weekend. If you send me something After Thursday night, I may not be able to respond until Monday. All current orders have been sent out, but I may not be able to process any new ones until next week. have you recieved my emails? Just a quick note here to apologize for the delays lately. Anyways, I'm only stating this so that you guys might understand why I've been a bit slow to respond lately, and for that I am sorry. Unfortunately, I can't do much about it though, so all I ask is that you be a little patient, and also to bug me a bit more. Yes, I said bug me MORE. Right now I think I need a shove every now and then to keep me on pace. Otherwise things keep getting pushed back by other items. Thanks for listening, and for those of you waiting I promise I'll try to clear things out this weekend. Thanks for the continued support guys. I'm nearly caught up now, and expect to get everything current finished up this weekend. I just went through a bunch of emails and PM's, and hopefully responded to everyone, but if I have not responded to you, then send me a new message. I try to respond to everyone, but I wanted to make sure someone didn't get skipped while I was going through things. Once again, thanks for the continued support. I have been getting a bit swamped lately, but I'm trying to get to everyone as soon as I can. If you do not get a response within a day or two please email me again. 1. Please put your user name or something unique in the subject line along with vinyl. I have about 50 emails all with the subject "RE: vinyl" and it is very difficult to follow. 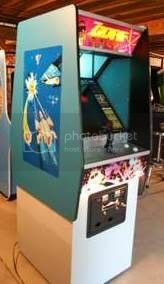 Only True Pimps Have Arcade Machines!!! Can you print up a mortal kombat set like this? Just the part around the joy sticks and the buttons. The method I use is not a print process, but a cutting process. The solid color vinyl is cut and picked out piece by piece leaving just the parts needed for the sticker. There are vinyl cutters that also print on the vinyl, but it's beyond what I can do. I couldnt be more satisfied , I might end up ordering the same thing again since my MAME cab is gonna have an MK theme. Re: FS: Button decal sheets and other custom vinyl stickers. Just posting this to announce the official release of set#3. Same pricing still applies. See top post for info. Thanks to everyone for the business, and remember that I can do custom work as well. Email details for a quote. Revieved mine the other day. Oops, I must have moved those files when I cleaned up some older stuff. PM'd you, but didn't get any email. Sorry Vertygo,... I'm on it, but a little slow due to my main job getting in the way, and also a bunch of requests over the last few days. All paid orders are caught up again as of now, so I will be going back and following up the best I can with some of the custom stuff. As always, if you don't hear from me, feel free to bug me a bit. I don't mind. Heh no problem.. I'd rather hear that your busy than to not hear from you at all! Why is this not stickied with the rest of vendors? Your screen name has been added to my frag list. you still doing vinyl work pongo? pm sent. Same here.... You still doing vinyl work? Send me a PM and I can give payment details. First post in this thread explains things also. I must say .. I'm a completely satisfied customer. Thanks Pongo! Hey, thanks for keeping the orders coming. I was just cleaning up my inbox and realized that I had missed a few last week. As a general rule, if you don't get a response within 24 hours, please send me another message. I try to get back to everyone, but sometimes things fall through the cracks. I just wanted to let you know that the Stickers game and are perfect, great deal, and a you will not find a better person to deal with! Do you also make stickers for the Consoles? What I mean is stickers for the buttons like the Playstation Square, Circle, Triangle, X, L1, L2, R1, R2 and XBox, Dreamcast etc...? I could use them to put on my console joystick buttons. Let me know. Thanks. Have you made any jukebox stickers yet? Just curious if you already have the graphics for them. Just made a request, I messed up what I wanted the first time, I sent another PM explaining what I needed. Whenever you're available, I'm ready to order. Just wanted to say thanks for all the continued support. You guys have definitely been keeping me busy for the last year. I'm usually pretty organized about this stuff, but the amount of requests in the last few weeks, plus not being home has really made a bit of a mess. I'm hoping to start getting caught up again, but this last month has been very busy at work. I've had a lot of custom requests that have been delayed because of it, and I am trying to catch up now, but it may take a bit. If you have sent a message and not heard from me, then please send a new PM/email to get things going again. Sorry about this, but I just haven't been able to keep up lately. To answer the jukebox question,... yes these are no problem. Almost every order is custom cut, so let me know what you need. He's not lying about custom cut stickers. Here is one he did for me. BTW I could use some more white ones Pongo. Thanks much for these they really fit the bill. Pongo does great work. Here is a sample of my buttons with his labels installed. This should definitely get stickied! I just added a short tutorial on how to apply the joystick arrow decals. Go to the top of the thread,... it is in the 2nd post. I just received some Decals in Australia from Pongo and they are perfect. Pongo is great to deal with and provided me with some great tips, thanks again Pongo !! I'd like to get the ball rolling on a set of stickers for my cab. But first, I wanted to get some advice/info/etc on some icons & recommendations before I take the plunge. When I've got all the stickers figured out, I'll order a complete black set & a complete white set. Here's what I'm looking for, along w/ some links for examples--I think these links are from the "old" thread on vinyl stickers, not yours--can you reproduce these or do you have equivalents in your library? Thanks in advance for any feedback on the ones that I haven't yet figured out. Just another thumbs up for Pongo and his decals, they look great! Thanks for the PM,... I hadn't checked this thread in a while, but am still active making these. Yo Pongo! Man, I have emailed a bunch over the last 10 months with no reply, are you selling these now or what? Sorry to hear that,... I have not seen any emails from you. I get a high amount of spam though, so my filters can sometimes nail things they are not supposed to. Sending me a PM here is the best way to contact me if you are looking for something. Edit: one more important note. My wife and I just added a baby to the family a few weeks ago, so my free time to do this has been cut down a bit. I should still be able to provide the same stuff as before, but it may take a few extra nights on the custom jobs especially. If you are expecting a response from me and do not hear back within a day, please PM me and I will give you status. If it has taken longer than 2-3 days I have probably missed your message somehow. I try not to let that happen, but when things get busy sometimes things can get bumped down the stack. Put my decals on today and they look fantastic! Can't say enough about the quality. Yes, I'm still alive and making these, but I'm putting in some serious hours at work right now. This is making it difficult to respond over the last few days. At this point I'm pretty much booked through until after Christmas,... if you have already contacted me, I will try to respond soon, but please be patient. If I have not contacted you back by this weekend, please try again, or wait until after the holiday season. Sorry,...I can only do these in my spare time, and that has been scarce lately. When I get behind on things like this it can be a bit overwhelming to get caught up again. Add another satisfied Pongo customer to the list!!! Pics attached (just close-ups...don't want to derail this thread by distracting everybody w/ my Frankenpanel...). Pongo did some custom work for me. His creative juices were excellent in turning my descriptive text into simple & useful icons. He also did a few minor revs for me to tweak some of the art and he was a really good sport about accommodating my picky requests. Although I am by no means complaining here (just reporting the facts), it was about a 3-month turnaround time for me from my initial contact to receiving the vinyl. As he said in his posts, he's busy with a new baby & work, so I certainly can't complain that the man has his priorities straight! I imagine that customers w/ simple requests (not custom artwork) might get faster service (though I'm not speaking for Pongo). To make up for his delay, Pongo offered me a ridiculously low cost for his service & product. Even with the 60% tip that I tacked on, I still got a helluva deal. (I've bought many vinyl stickers in the past: http://infernolab.com/galleryfiles/drijrgallery.html & http://infernolab.com/galleryfiles/drijrgallery.html are some examples & I paid lots more for those than what Pongo charged!) Oh, and then he went ahead & threw in extra stickers--too kind! If I could do it over, I'd request that the "SELECT GAME" sticker wrap around the top of my P1 button instead of the bottom, but that's what I get for not thinking of that & requesting that ahead of time! Thanks again, Pongo--now I can get going on my bezel artwork with user directions! PS--the player start "man" buttons aren't Pongo's--their what came w/ my SlikStik Quad. I did want to mention that the time it took for Jason's order was highly unusual. His initial emails came in right around the birth of my latest, and we had several exchanges of revisions. Between work and the new baby I put off things a bit too much and it took a long time between some exchanges. I'm a bit embarrassed by how long it actually took, but it does reflect the lack of time I had for anything custom over the last few months. Most orders are sent out the next shipping day, and even adding a small amount of customization only adds an extra day usually. I won't be producing any new stickers until January now due to a heavy work schedule, but should be able to resume to normal shipping after the first of the year. No need for embarrassment or apologies--just get back to your "real life" & don't worry too much about the stickers! Jan 04 update. Hopefully this gets read by people those that have tried to contact me over the Holidays. At this point I am starting up getting orders out again, but I am WAY behind. Things really stacked up on me over the last few weeks when I was unable to cut. I will be contacting everyone over the next few days, so if you have not heard anything by mid week (Jan6-7) feel free to send a new message. I will try to do them mostly in the order they came in, but simple orders will probably get bumped to the front simply because I can get them out quickly. No worries pongo, as soon as you can, we understand. Just as long as you send mine first. At this point I think I'm all caught up again, or have at least responded to everyone. If you have been waiting, or have not heard from me, please resend a PM. I would hate to miss anyone, but I had a ton of PM's and emails to sort through. Pongo, you still doing these sheets? Try emailing him. I emailed him about 3 days ago and he got back to me and filled my order within 24 hrs. was going to attach this to PM, but didn't see a way to do it. Here are the arrows and text I was asking about. Just giving my usual speech here,...I had some unexpected stuff over the weekend, so I'm trying to get caught up again. As always,... if you don't hear back from me, then be persistent. Really, I don't mind. As a general FYI, the delays I keep experiencing are usually related to custom sets. ,... I have a pretty limited amount of free time to work on these, and my 6 mo. old really cuts into that. The pre-done sets take a lot less time, so I can squeeze them in easier. Don't let that discourage you if you want something custom,... the delays are usually short. One last comment,... I would like to expand the sets to include a bit more options, so if you have ideas about what you want to see here, then let me know. 1. Name stickers that are popular with my friends for kid's bikes. 2. small stickers that you can put on car windows or laptop,... misc retro arcade themes? I love the stickers. They look great! I will buy stickers from you again. Bumping this guy up for more business! Placing an order now! Im a computer / laptop guy Pongo I like the idea of some stuff to stick on there but you said you only cut solid colors not print right? So that leaves a lot of limitation in what can be done as the popular thing is laptop skins that cover the lid of any design you want. Still though I may be able to come up with a "window" design for my new laptop that has cutouts to show a certian design through the vinyl. Question is what kind of adhesive doe sit use? The kind that can come off with no harm & residue or is this like industrial permanent stuff? Anyone done decals in blue? I considered blue, but went with 1 black and 1 white. They came in today, but I haven't seen them yet. ViciousXUSMC: The vinyl can be removed with no permanent damage, as long as the surface is ok for that. What I mean by that, is that if you put it on a piece of plastic you will have no problems removing it, but if it was a piece of cardboard it may pull up some of the cardboard due to the adhesive. Any remaining adhesive can usually be wiped right off, but if it has been on there a while it may take a bit of rubbing. I have so goo-off stuff that cleans up everything in one pass, but rubbing alcohol works good too. Removing the vinyl will destroy it also, so there is no option to take it off and then put it back on. Hope that answers any questions you might have. Feel free to PM me if you have any detailed questions,... I don't always check this thread, so I can miss it here. I've done a few decals in blue, so I know they are out there. What does a one sheet include? One set or all three sets of the standard decals that you have in the first post? The image you see as a sheet is what you get, plus a few spots for custom ones you might want. So this is one sheet? Yeah, and there's one more line (five total) with room for custom logos. Could someone please post a picture of something from Set2? Are they as big as I think they are? Button sized in hight? Might we see an update of the sets sometime soon? Or maybe a brand new set? I realy like the font of the vinyls you made fore Jason. Are they available (did you save the pics)? Do they "go bad" if I keep them, for let's say a year, before I try to apply them? I'm gonna place and order if I only could make my mind up what color scheme to go with on my build. Here are some answers to the last questions. Sorry I don't always check this post, so answers here can be a bit slow. 1. yes, set #2 is button height. I originally thought the on-button decals would be too small to make. 2. set #3 has evolved a bit from what you see here. I have added a few to the set, so I need to get a current version up when I get a chance. 3. I backup everything, so I can probably pull an old job to re-cut. Actually I've already done that set for a few others as well. 4. These stickers should never go bad. There are only a few things I can think of. - eventual color fading. I've never seen it, but if they were exposed to sunlight a lot, they would probably fade a bit. - They should be stored in a place with reasonable temperatures. If they get subjected to a lot of heat, it's possible that the adhesive melts a bit and sticks to the transfer paper. This just makes it a bit trickier to apply, but the stickers themselves should be fine. - small pieces may fall off with abuse. These are pretty tough, but at a small size there is simply not enough adhesive to keep tiny pieces from moving. Again, I haven't heard of this happening, but it's possible. beyond that, the actual vinyl is very durable. I also do RC cars, snowmobiles, race cars,...etc. The vinyl outlasts the RC car bodies, and the snowmobiles get branches scraped across them occasionally. Cool! I'm looking forward to the updated sheets. Doooood, just buy the sheet!!!!!!!!! It is $10 for a sheet of everything guys, you get it all. A little over one hour at minimum wage. Had 1 power sticker left over & used it on the switch I installed in my steering wheel. Thanks, Pongo! If I hadn't used them already, they would've been on their way to you. Sorry. More praise for Pongo. Worked with me on tweaking some of the buttons and got the decals to me quickly. Prompt communication through the whole process, very happy with the service and the three sheets of decals, will buy again from him. Thanks for the continued votes of confidence. I appreciate it. I just wanted to put out a quick message that I'm getting hit hard at work again. I'm doing lots of overtime, which means I'm getting home quite late. Responses may be a bit slower through the next month while this project continues. I just ask that you be both patient and persistent. I normally try to respond within a day, and if you have not heard any updates from me be sure to drop me a PM. There was someone on here who made vinyle stickers for the Mag-Stick plus dust washer. It was to signify how to use the 4/8 way switching function. I'll have to hunt down the thread. Could you make one of these? I'm sure there are plenty of folks that could use one. Pongo's been there & done that! (attached my custom Pongo sheet for reference too). In that case, what would it cost just for 2 of the Mag-Stik+ stickers? Sorry for the lack of answers. I've been working extreme hours over the last week so I haven't had much time to do any catching up. Once things slow down a bit I hope to get the new stuff organized a bit. Just a note to those waiting for a response from me,... I hope to catch up this weekend, so if you do not hear from me by then, please re-send me a PM. Thanks. I feel it's about time to place my order now since My cab is almost complete and it's time to start work on the controlpanel. Any news regarding the sets? All the new sets are going to be is a more streamlined way (I hope) to get a more customized set. Right now I allow anyone to make a few small changes to the sets, but it really slows me down. What I hope to be able to do is get it down to a system where you can make a single set from some "menu" of sorts. That way you make your own set by choosing 4 parts that fit what you need. Full custom will always be available, but the whole idea is to try and streamline things a bit better. Even when I am really busy, I can usually get out the standard sets fast now, but the ones with extra bits tend to lag behind. Most of us understand this is just an extension of the hobby for some people, not a way to make a living, so we getcha. What font is used on these? The font in these sets is called "Slicker"
Thanks for the font name. Totaly understand, hope the basement/gameroom(?) turns out great. It did, thanks. A menu would be fantastic! I think I'm gonna go ahead and order one of each set now anyway. I'll PM you soon. Thanks for understanding,... I had people over all weekend to help work on the basement,... Walls are up, sheetrock is almost done,... starting to look like something now! Anyways, Now I need to do some vinyl catching up again,... you guys never seem to slow down! And yea, part of the build is a gameroom,...pool table and pinball are already in place, but I'm re-thinking the arcade cab. I have a full size cab in my garage, but I'm thinking of going with a slimmer (depth) design. I'm planning on using an LCD, so the extra depth is just taking up space. I just wanted to make a quick announcement on these,... see the first post of the thread for more info. Basically, I'm Completely overloaded at this point and need to stop orders for a bit so I can catch up. I am trying to get back to everyone, but it's going to take a while, and some people have already been waiting quite a bit. What I am thinking right now is that I am going to stop making these in December so that I can focus on new ones that I will make available starting in January. I'm not going away,... just need some time to recharge. I've bought a sheet of these before, and the quality is GREAT! Thanks on the update, guess I'll order next year. I was just about to place an order too. I'm building a MAME machine for my parents for Christmas. I'm in need of one of the power symbols and an Exit decal from Set 1 or 2. Does anyone have these that they did not use? I'm absolutely willing to pay for them. Has anyone ever used these labels on LED lit buttons? Specifically the Electric Ice buttons? Anyone have a pic of one applied and lit? I applied some to Ultimarc's Ultralux buttons and sent them to member TelcoLou. I couldn't get a decent picture to turn out, but I thought they looked good and so did he. Nicely. Did you use black? White, but I'm certain black would look really good. Out of curiosity, did you apply them under the button cover on the diffuser, or on the outside? diffuser, so I guess it's not the same as Electric Ice. Good point. I've been getting a lot of questions asking if I am back yet. The short answer is yes,... I'm making these again. I may need to change my shipping times as well,... something like sending out on Mondays. That will give me more time to collect orders during the week and cut them on the weekend. Sorry that this may take a bit longer for your orders, but I need to get back some of my week day time. Bought a set of these months ago and just finally got around to installing them! They are fantastic! Especially on my illuminated buttons, they stand out very clear and so no sign of wear after a few weeks! Just wanted to pop in and say that! Pongo, I just put my new ones on my buttons. They look great!!! Pongo, thanks on a great item. Keep up the good work. Man, how many times can a guy request an order and get ignored?? I got my order pretty quick from Pongo... quick responses, all around. Man, I've PMed him 2-3 times over like a year span, and have asked in this thread once or twice. I guess the dude just hates me or something. I never get a response of any sort. Maybe it's because of your scary avatar? Shardian,... sorry. I've got your request (both times) and dropped the ball (both times) Part of it has to do with your request being different from the standard sets. I've been so overloaded that I've been doing the standard sets first, and getting to the custom ones when things free up. Unfortunately, things have not freed up, and my 3 kids love to make things difficult as well. I'll do my best to make it up to you,... look for a PM from me. Just a note to everyone,... I'm very stacked up right now,... both with vinyl requests and home/work items. I used to try to return emails within a day, but right now it is taking me about a week. (Longer for custom requests) I do read the messages right away, but I don't have the time to respond to all so I have started to queue requests. Please feel free to send an extra message to check status, I'll try to at least give you an update. Thanks again for the support,... sorry I can't keep up at the moment. In case you missed it I PM'd you about some vinyl when you get a chance. is Pongo still supplying buttons stickers? He hasn't stated otherwise. In his Feb 16th post above, he said that he's backed up, but maybe he's had time to catch up. Send him a PM and see what happens. I heard from him earlier this week on a sheet he is doing for me, he's pretty backed up. The stickers are definitely worth the wait, just ask up front what current lead times are. Sorry again guys,... I was still really backed up. At this point I believe I am caught up on all orders, but am several days out on responses to new orders. I've got a bit of news though,...I have a new set that is very close to done now, and expect to have it ready next week (1st week in April) I am expecting that this will completely replace the popular set #3. Tonight I am going to go through and try to respond to everyone that has put in a request, and I will essentially do a complete "reset" of requests starting with the new sets. Thanks,... I'll try to post more info soon. If anyone has placed an order (Paid already) and has not received their order, send me a PM immediately in huge caps. After the follow up last week my sheet arrived today. Your work is great Pongo, love the 4/8 way stickers for my magsticks. I hope to have the new sets active this week and will begin taking orders. For right now, please hold off, since I am going to wipe out my inbox so all the requests will be new ones. I believe I am caught up on everyone that has paid, so if you have paid and not received be sure to contact me. Here are some images showing the new set, and also how the new set will be broken up, allowing you to swap parts around and hopefully get more of what you need. In the second image you can see how I have categorized some of the swappable parts. I believe I am now caught up, and have sent responses to everyone that has sent a request. At this point I am wiping the slate clean, and will start taking new orders with the new set. All I need to do is get the numbers on the pieces for ordering, and that should happen by the end of this week. After that I will accept new orders and start getting these out the door again. Thank you all for waiting,... sorry you had to wait so long. Set #5 is now ready. See the first post for more info. PM sent on a custom set. Thanks Pongo, I received set #5 this week and it looks beautiful. I appreciate the prompt response and fast shipping. I know RandyT offers some, but he doens't have quite the same collection as you. The other thought, has anyone every simply used one of these vinyl on the top of a transparent button? ... although I can't imagine that would look as good lit up as a reversed version (icon showing through). sorry for the lack of response here. I really don't check this thread much. I don't have any of the discs, as I wasn't sure the best way to go about doing those. I do have a few options though. 1. It is easy to make vinyl circles with the icon in the middle as a hole. These would go on the outside still normally, but you may be able to stick them on a sheet of clear transparency and stick them inside the button. 2. you could also try making these yourself by printing one of my sets on a transparency and cutting it out to place in the button. I can provide you a "reversed" set to print if you want to try this. But I cant figure out what you get and for how much ? Jason,... sorry,... I don't check this thread very often, so I didn't see your message. I'll send you a PM as well with this info. The easiest way to order is to just get a "set" of stickers. Right now the only pre-done set I offer is set #5. It contains roughly 40 stickers that should cover most cases. That set sells for $12. You should be able to see it on this threads first post. I also do custom work and allow substitutions. Those cost roughly the same, but can take longer for me to do. If you know you need some stickers, but are not sure, just send me a PM and I can work up the details. Hey Pongo. You may already know this, but if not, I thought I'd mention it. You can check off the "Notify me of replies" check on just a single thread and you'll be emailed (assuming you set an email addr) when anyone posts to that thread. Really handy for monitoring specific threads you care about. Expand the "additional Options" button under the posting edit box to see the option. Even easier, there's a notify button on this page. Just click it and make sure your email is set. Thanks guys. Now I won't keep missing these messages. And thanks for the continued business too! Sorry to all those that have sent requests this last week. I have had a major project going at work and have not been home to answer everybody. I hope to catch up this week, but it's a bit out of my hands for the next few days. Received my order in no time at all, and the stuff looks great! Looking forward to applying them soon! Thanks, Pongo! Absolutely swamped again here guys. I apologize for the very slow responses lately,... My work has had me working serious overtime for the last few weeks. I have barely had time to sleep or visit my kids, let alone get to cutting vinyl. Things have started to let up a bit now, but I have a lot of catching up to do. Please feel free to send a new message and I will try to update status. Thanks for being patient, and sorry for the big delays. I just received my new vinyl cutouts and they are amazing!! Thanks so much Pongo for the quality work. I really appreciate it!!! Got my order today. The vinyl looks great! Thanks Pongo for the excellent service. They will go on my cab asap. Re: FS: New button vinyl now available. Can this be bookmarked or pinned? Is it possible to pin this post? I find it hard to seach for PONGO everytime I want to look at the available button vinyl. shot you a pm for an order buddy! Hope I can keep up! Just wanted to note. I received my order (awhile ago). His vinyl is top notch! Thanks again sir! sorry,... yes I am still doing these. I'm just really slow to respond during the week due to work. Will respond to everyone later tonight when I get home. PM Sent. I am interested in buying your set 5 labels. They look sweet. Hi, I just got the labels in the mail and they are Awesome. Thanks very much. I got my vinyls in the mail today. They look great. I'm looking forward to putting them on. Mammy, why is everyone pointing at my cab and laughing? Got my set of vinyl last week or so.. Looks great.. can't wait to get everything together and all hooked up..
Got my order today all the way in Oz. All I can say is AWESOME!!! Got my order today - Thanks Pongo. Nice product and got it very fast. FML, I want these, how can I get them? Go to the first entry in this thread by Pongo. All the instructions on how to order from him are there. Email sent as well… any update? PM'd you a couple times now but havent heard back. Sorry to those that have been trying to contact me. I put a new update on the first post of this thread last week. Basically I have not had any time to do this lately, so things have gotten extremely backed up. I don't see an end in sight at the moment so all I can say is be persistent,... send me another message. I should still be able to squeeze in some of these, but custom orders are something I just can't work on now. I will try to clear through a new batch of orders over the weekend. First the good news. I see a small opening in my schedule, and I am going to try to push through as many orders as I can here,... will start sending out responses tonight. Now the bad news,...Heat index is well over 100 here, and supposed to be over 115 wed/thurs. This vinyl is plenty durable, but in this heat they can get damaged in shipping (the adhesive will ooze out around the edges a bit) It's not a problem when the stickers are larger, but on these little ones it can cause problems. Because of this, I will not ship any out until the temps drop. Forecast right now shows this all week before we get a break. I'd like to get a bunch of orders ready to go though,... I'm way behind and need to catch up to you guys again. Edit: Whew! Just sent out a bunch of responses. I will try to get to the rest of them tomorrow, so if you do not hear from me send another request. After I send these out I am clearing out my inbox, so some older requests might get missed here. The extreme heat finally broke over the weekend, so all orders have now been sent out. It was too hot to do just about anything around here so I took the time to cut up a bunch of sets in advance. That should help quite a bit for future orders, plus I've set up a new spreadsheet to track things better. I should have done that a long time ago, because everything went smoother/faster with this last batch. Just got my third order from Pongo, but I think it might be my first time posting in this thread. I got something a bit different from button labels this time, so I wanted to post some pics and a big thanks to Pongo because I couldn't be happier with how this turned out. I'm a huge Arizona Cardinals fan, been so since the 90's. I was a big Pat Tillman fan, even before he joined the army, and an even bigger one after he left the NFL. I'll cut the long story there though, to show the sticker I had done by Pongo to put on my car's back windshield to honor Tillman. Pongo did a great job, perfect size, everything. Thanks a ton. Those look awesome! Big Cardinals fan here as well! Yea,.. still going here. Sorry I'm a bit slow at returning messages lately. Will respond to your email when I get home from work. These stickers are something I do in my spare time, and I've had very little spare time lately. No problem at all mate! Thanks for your reply tho! I'm glad you're still doing your stickers as I really need them! Cant seem to pm you Pongo (could be because of being new member etc). Is it possible to get an email address so I can order some of these please. Have you done skeeball score ring numbers before? I'm in need of a couple sets. Thought I would ask before I measure them and set them up in photoshop. Have not done skeeball numbers before, but as long as the surface is smooth enough to take the sticker it should be fine. Troy, your job is simply amazing. You really made me happy and proud of my cab! Pongo, PM sent - it being the holidays I'm not sweating it but wanted to post in-case it gets lost in the sauce. Sorry,... was out for a few days and must have missed it. I see it now and will respond to you in a bit. Still doing these at all? Send me a PM or email with your request. Mine arrived to the UK today (posted on the 13th) and there was an extra sheet to make up for a slight (i.e. practically unnoticeable) defect in one of the stickers. Top class service, thanks again Pongo. Pongo, sent you an email since i am a new here and can't send you a PM. Any admins know if i can PM Pongo? I've been a bit slow on the responses lately,... hoping to clear things out again on the weekend. cool sounds good. just making sure you received my email, i put vinyl and my user name in the subject line. thanks again for taking time to do all this! Just posted a new update in the first post. I've had to make a few changes to custom orders. It's just taking way to long to make custom sets lately, so I'm trying to cut back on those. Set #5 will remain unchanged at $12 shipped, and I can still usually send those out the next day. I will still make custom orders also, but I want to be clear that those are taking a long time to produce, so you will need to bug me a bit to get one. That's fine,... just know that if I'm not responding it's because I'm swamped at the moment. Thanks for the continued support, and if things ever free up for me I'll try to open this up again, but for right now I need to claim back a bit of my free time. Newbie here, I can't seem to PM PONGO. Could someone help me with PM messaging. I want to order PONGO's vinyl stickers! Sending you a response now,... was out all weekend. all i can say is PONGO!!!! is the man! here are a few pictures of some stuff i had him make. Hey Pongo, are you taking on anymore special orders? I'm doing a Spy vs Spy themed machine and I need a few things. What I'm looking for is vinyl that says "VS" that will fit on top of a spinner. The other thing I need is a pic of a wihte Spy for the player one button and a pic of two black spys for player two. Oh yeah, and a white pause and a black exit. I might need a couple more things I can't think of right now! Below is a pic of my CP so you get an idea. Let me know if your interested. Awesome work BTW! minimum amount for a custom order is $15, which is a bit high for what you are asking for, but I'll do what I can to make it fair. Cool! Thanks Troy! Yeah, just let me know somehow when you get some time to do these. I'll have a better Idea what all I need once I get the overlay back. Hey Troy, I'm still interested in getting some decals made. How are you doing on time? Pongo sent you a PM with a very small request. Sent you a PM pongo. I'm just needing the standard #5 set but in Black. Just a quick update for everyone. My response time is very slow lately, and for that I apologize. I'm encountering work/home issues that are demanding all of my time. I will try to slowly catch up to everyone that has sent messages,...please be patient and bear with me. Thanks! I'll wait to hear from you. I hope you got my email I sent you. I just sent you another email, I hope you're getting them! Just a quick update,... I'm still kicking here. I'm way backed up at the moment, which is why I have not been responding to emails. I'm hoping to send out a bunch of emails later tonight or tomorrow that should get the ball rolling again. Orders of set #5 should go out quickly within a day or two, and any custom orders will follow those as best I can. Sorry about the delays, just need to get things back together on my end. Edit: Oops,... just a few more delays,... will get the emails out this weekend. It's good to hear from you. I still need some custom work done. Let me know when you get caught up. Re: Re: FS: New button vinyl now available. Thanks for the update. I'll keep my eyes open. Hey Pongo, I just wanted to let you know that someone else was able to do my button art for me. I knew you were pretty busy and all. Thanks anyway! Sorry I was unable to help you, and I hope you are happy with what you went with. If they are willing to do other work please feel free to post their info here. I want to try to help as many as possible, but the reality is that I just have not had the time lately. I think I am mostly caught up at the moment, but I know there are still a few out there that may have moved on due to my delays. Looking for some white lettering coin and player buttons to go over top of my black buttons. Please update when you are caught up. is it possible to make a custom set of PlayStation buttons marks ? i'm building a machine based on a PS2 and adding the marks on the arcade button will be a great upgrade to the machine! Nirtzi: I've got those already made up, so no problem. I sent you a PM too, easy stuff, LMK! I've got a bunch of requests lately, and my work/home schedule is killing me again. I will try to get back to everyone by the end of this week, and I should be able to cut on the weekend. That has been my only free time lately. Anyways,... if you don't hear back from me, don't panic, and feel free to send another "bump" I usually don't respond when I'm busy because It's easier to track later when I send proper response. Hey Pongo, I need a set of these too and a regular set. Just got my PS2 set and it is just as expected... perfect..
big recommendation! go for it. Hi I am trying to order 2 #5 sets but the system will not let me PM you. If you are still in the biz could you PM me? Thanks! Left a couple of PMs with no answer... Has anyone heard from Pongo lately, or know anyone else who could sell me some vinyls? Thanks! I just got some from him last Saturday the 25th. Just keep pm-ing him. I know he's busy but he'll get to you. Hey everyone,... just wanted to announce that things should free up quite a bit now. I have been primarily working off of a shared computer for the last year, and now I finally have a dedicated machine of my own. (happy dance) This *should* allow me respond a lot better to emails, as I know that has been lacking lately. I am sending out a few PM and emails tonight and will go through some that are a bit older this week.I know I have missed a few, and if you have not heard from me please re-send the request. I should be able to respond much better now. Thanks as always for being patient. I am interested in a black one that has the word credit or 25 cents. Can you PM me for more info or do you have a website? Ordered some last week and got mine in Canada. Thanks for the quick service. Hurray! I don't have pockets for quarters anyway! Are these sets still being offered? Yeah. I'd like a set #5 if these are still being made. Thanks. Awesome. How much for 2 of these in red? I'm unable to PM (probably because im a newb), but interested in purchasing a few sets, Pongo. please PM me and I'll place the order. I did as well, no response. Does anyone know where else I can buy this type of vinyl? Is there a place where I can see what is included in all the sets in one place? I've tried searching the forums, and have found a few here and there, but would like to look at each of them side by side. That, or if Pongo is not doing these anymore, does anyone know of another place to get them? Sorry to everyone I haven't been responding to. I've been out of action for a while now. Right now things are busy enough that I can't get anything out until the new year, but I will make a push to start going again with the new year. I will try to get responses to everyone that has PM'd me, but if you don't hear from me, then resend your request. Good news. I'll start making these again this weekend. It will take a while, but I will send off an email to everyone that has contacted me during the down-time. The first orders I will focus on will be the simple set #5 orders. The custom ones slow me down too much, so I want to get caught up a bit before I work on those. Either way, look for me to contact you soon if you have sent a request. Sorry to have to say this, but this is the end of the road. My cutter has been struggling lately cutting the fine details, and I need to throw in the towel. There is a bit more info in the first post of this thread, but going forward there will be no new orders. I do still have some sets that are already cut. I will sell those through another post, and when they are gone, that's it. Just in case you have some leftover sets... PM sent. Since Pongo is going out of business, there's a KLOVer doing vinyl cutting and paint masks here. Appears to be a good source, several very positive reviews and no negative feedback on him yet. Since it looks like I am on my own, anyone know or recognize the font used for the words? Agreed. Anybody know the name of the font used in the OP's sets? I have redrawn everything else, and now only lack the lettering. If I'm unable to find the font, I'll have to find something similar. For now, here is everything that I have already finished. I will be selling complete sets for $12/set shipped. For now, standard colors will be available, including white, red, blue, and black. The font is called 'Slicker'. You can download it online. Sorry about the delay. Didn't even see that I had new messages. Will be starting my own thread so I can control the info in the OP as well. For some reason I'm not able to send you a PM, are you able to shoot me a message? I want to order a set. Thanks! Page created in 0.504 seconds with 304 queries.